In this brand new ‘shortest Straw’ edition, we vivisect the latest Corvus Records releases. For all those in the back – this is truly extraordinary label. It’s a Bulgarian label that doesn’t release Bulgarian artists only; it’s a very underground label that somehow survived for some 16 years now; it specializes in all things ambient, neofolk and industrial, but never shies from a more savage metal release now and then. All of this is evident from these 4 albums – very different but appealing to the same kind of audience. These Istanbul chaps were once known as KARA CEPHE but these days go for the English translation of the same name – BLACK FRONT. Their music, however, has remained pretty much the same – very militaristic, with grunt vocals, tight rhythm, some electronic beats, simple but effective riffs and a pinch of post punk. Their two original tracks included in this EP are fine but the remixes (crafted by our boys MYTRIP and SHRINE) are even better – putting BLACK FRONT through a noise/ambient filter. Usually the ambient music/esoteric imagery combo is absolutely the thing for us. Not with DARK AWAKE though. All in all, ‘The Spine Of The World Serpent’ is an annoying, amateurish release. Self-titled opener is a passable piece of noise and distorted vocals but the cover of DEATH IN JUNE classic ‘Fall Apart’ easily tops our personal “worst listen of the month” chart. This here is a collection of dreamy synth pieces evoking romantic Autumn and ancient Edinburgh all at once. 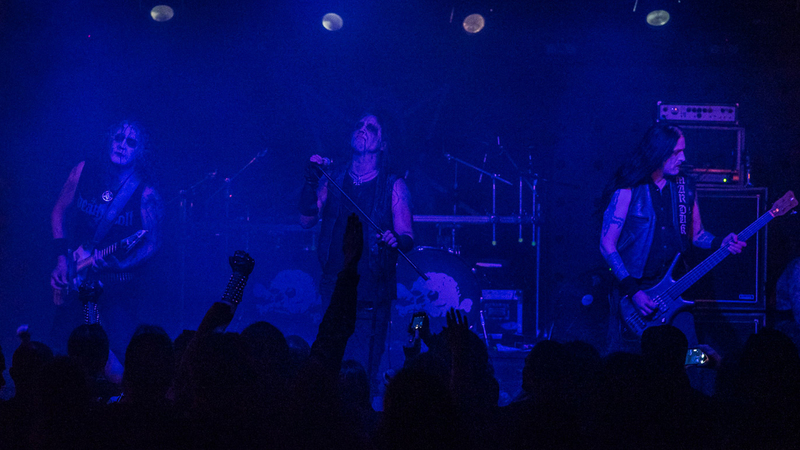 NOCTE were certainly influenced by European classical music, sacral Christian chants as well as more recent acts like ENDVRA and DEAD CAN DANCE. Alike Perry and Gerrard, the Scotts use glossolalia – a made-up/improvised language sounding like a thing off another planet. Now this is a surprise - SERPENTINE CREATION came up with a pretty solid single. It’s undeniably mighty and aggressive, a fine piece of modern black metal, reminiscent of BEHEMOTH’s ‘The Satanist’. ‘Ave Eva’ impressive with thick sound, slow heavy riffs and buzzing black metal ones, cool chorus as well as an all-orchestral version of the same track on side B of this 7-inch vinyl.